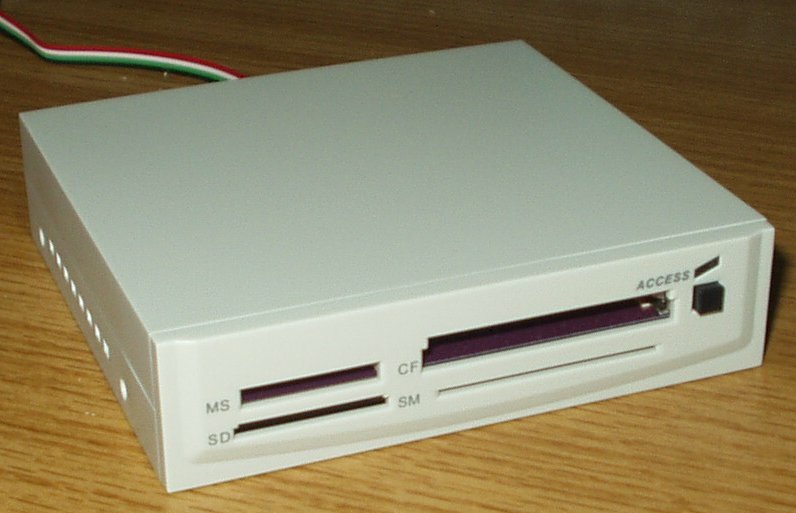 I bought this ECS 6-in-1 Flash Reader/Writer in 2004 for 99 cents but just got around to installing it in 2006. This model is only meant to be installed on ECS/PCCHIPS motherboards but there is a hack to get around it. Finding the driver was a real pain so I've made it available here. It's now working fine on my Soltek 75FRN2-L motherboard. 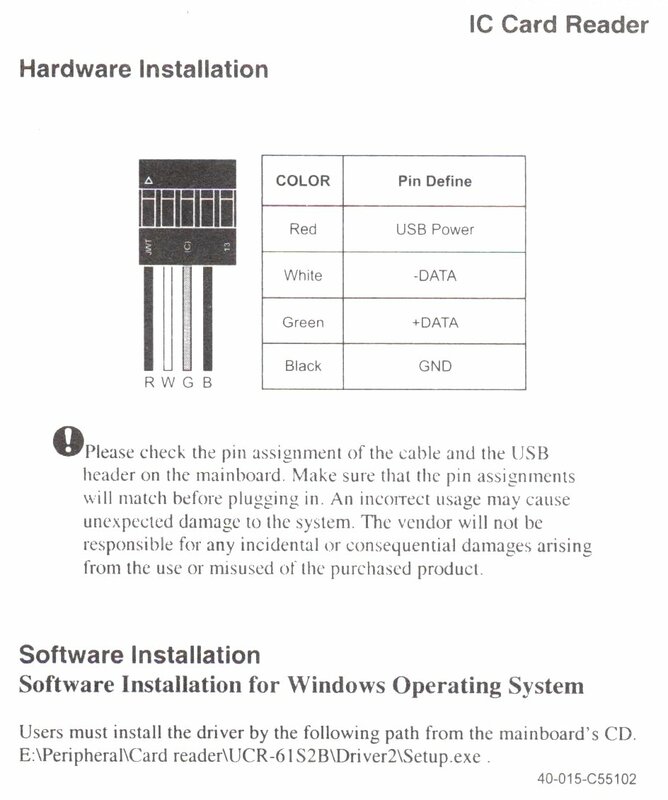 Attach the 4-pin connector to your motherboard USB header. Turn your computer back on. Download, unzip and run SETUP of this file. Reboot the computer when it asks you to. Open MS Windows explorer. You should now see four drive letters similar to the photo below. Now just stick in a flash card and it should read it! Hopefully you'll see the green LED on the front of the unit turn on. The USB pinouts are on the left. This was tested to work on MS Windows XP SP2.